Attractive! 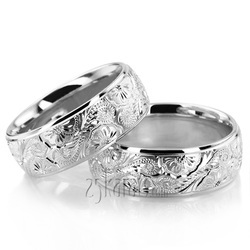 This 7mm wide Floral Design wedding ring set has a gorgeous hand engraved center. 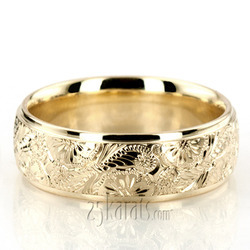 The band is satin finished with bright cuts. Total Gram Weight*: 25.02 grams.